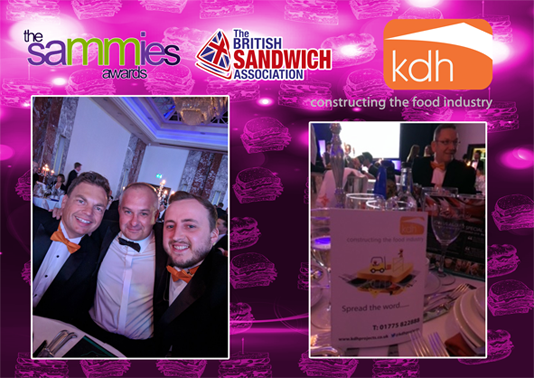 KDH Projects We’re absolutely delighted to be back at the Sammies (The British Sandwich industry Awards 2018, celebrating the very best of the sandwich and food to go industry on Thursday 1Oth May. 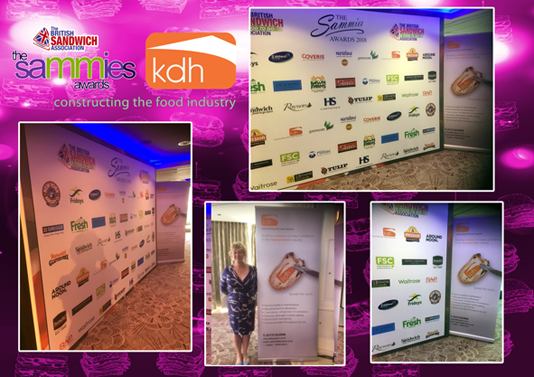 As proud programme sponsors This is one of KDH projects biggest nights of their industry calendar. Held at the Royal Lancaster Hotel London. The daytime proceeding got underway with a presentation by Jim Winship director of the British Sandwich Association. Followed by the British Sandwich Designer of the Year is a competition. 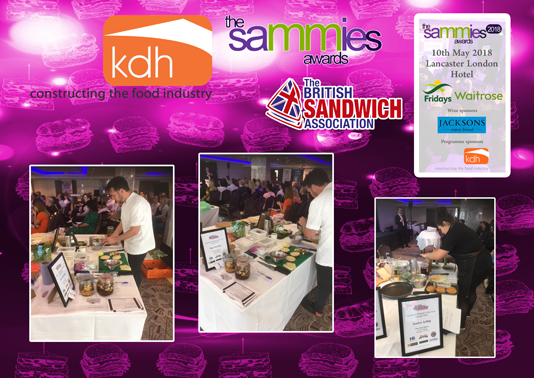 Contestants submitted one recipe in a minimum of three categories and in each case, the recipes are required to showcase the sponsor’s product, together with other complimentary ingredients of their choice, making a creative, innovative and commercially viable sandwich. Contestants may enter all six categories, submitting a maximum of two recipes in each category. 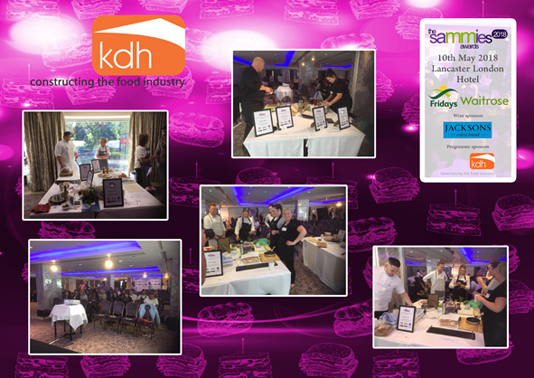 The Sammies coveted Awards evening was hosted by comedian Dominic Holland and celebrity chef Theo Randall, the evening was one to be remembered. 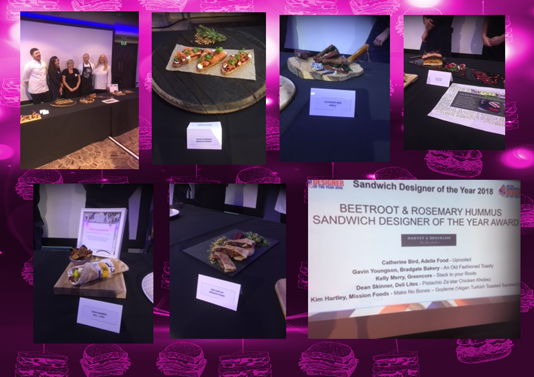 The winners were announced, proclaiming the industry’s best from the Best New Sandwich to the Chain. The key component of KDH Projects, is made up of a strong team, of magnificent, dedicated professionals. 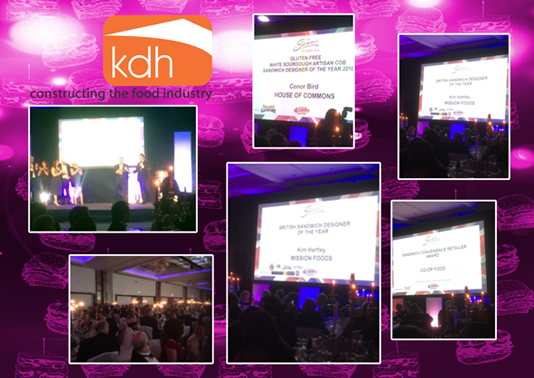 Here is a few enjoying the evenings celebrations and Copy of KDH sponsored programme.